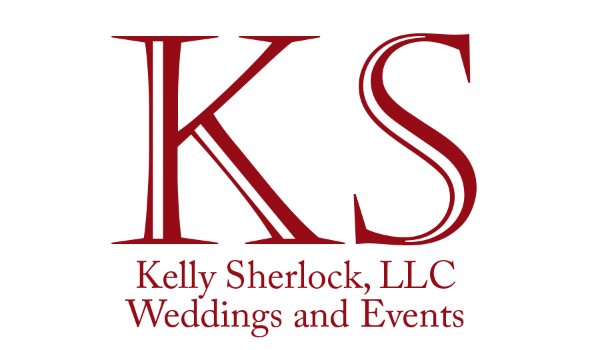 My name is Kelly Sherlock and I am a wedding and event planner in New Orleans. I started my business in 2007 and have been growing and learning every day since. This is an industry that relies on change and the “next best thing” in order to keep each event fresh and better than the last event each guest attended. While the wedding world is ever changing, there is also a certain semblance of tradition or an “outline” in which to follow. It is my job to help each bride and groom decide where the lines are drawn and where the lines are blurred. It is also my job to stay up to date with the fads, learn the new trends and stay abreast of what’s coming next. Most importantly, it is important for me to know and be able to explain the traditions of our past and how to update them in a way that works for each bride’s individual situation and circumstance. Where would one find the answers for such traditions of the past with an updated twist? Now you see where this blog originated! A year or so into the business, as I worked with more diverse clients with different backgrounds, budgets and beliefs, I realized that the only advice out there for brides or hosts of any party was coming from outdated versions of etiquette that pertained to life 100 years ago. Everywhere I looked I saw the same books with the same tired thoughts of how weddings “should” work, how an invitation “should” be written and who “should” pay for what. The problem is, the etiquette of our grandmothers’ came to life before bride’s were dealing with divorced parents, paying for their own weddings and blurred lines between men and women. Today, things are not so black and white and it was my mission to create something more useful for today’s couples and something to cover even more than just the gray areas. After creating the original “Proper Planner” on blogspot in 2010, I realized that we were in the midst of a wedding frenzy that no other generation had experienced before. I saw that the years of “reality” tv, Pinterest and everything else wedding-related had created the same problem that all social media creates; a monster and an unrealistic idea of the process, the vendors and the wedding itself. So I decided to expand the "Proper Planner" to it's own website - rolling out the properplanner.com in 2014. The "Dress of Week" was created, I started attending Bridal Fashion Week in New York and covering that on the blog. I generally showed a candid, realistic view of what really happens behind the scenes, what really works and how professional vendors excel in a world where digital cameras make everyone a photographer, Pinterest makes everyone a designer, and a flip cam paired with IMOVIE makes everyone a videographer. Since then, every wedding planner and wedding vendor has become a "writer" - I do have a Journalism degree by the way, just saying! And although the sources of etiquette or wedding advice have increased, that does not mean that they are valid sources with sound knowledge. So many magazines have writers covering their wedding advice columns yet the writers have never even stepped foot in a venue or had any contact with a real bride. They simply reword the old school methods they have taken from another source. I live this everyday and love it, but there's too much fluff to know what's real and what's a "styled shoot"! My concept is a tongue and cheek perspective of an industry that I take very seriously, although I believe is taken way too seriously and not enjoyed as much as it should be! Often times the issues that come up while planning a wedding (or event of any kind) have nothing to do with the event itself, so writing about weddings is more than writing about how to address an invitation. Recent experiences had me covering some topics outside of the wedding world due to the many issues and complex situations that I see on a daily basis with my vendors, my clients and my client's families - my brides in particular. The world in general is different and sometimes a bit out of control and this industry follows right along with the diverse topics and the (sometimes) overly sensitive outlooks. With that, I decided to change the structure of the blog to cover some of the same aspects but a wider range of topics! More female geared, yes, but this is a place for all things to be discussed, especially since my day to day routine puts me in situations with so many different types of people facing so many different realities all trying to reach one common goal.. Love and Happiness! So welcome to the new "Proper Planner" - "Kandidly Social by Kelly Sherlock". Same great perspective with a much wider range of topics for your reading pleasure!